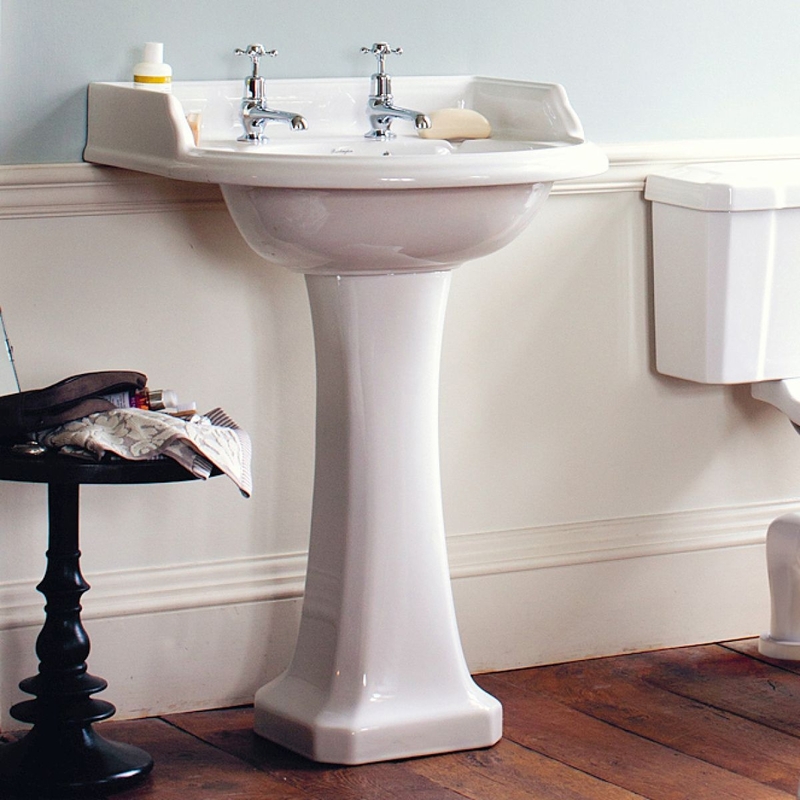 The Burlington Classic Round Basin with Full Regal Pedestal, 650mm Wide, 2 Tap Hole is an exciting model from the Classic collection of Basins from Burlington. The traditional look of the Burlington pottery combined with their ability to include the latest technology. Burlington bathrooms offers you the opportunity to create a beautiful classical bathroom from designs when Great British design led the way.